News regarding the ban on selling of BS III vehicles in Indian car market by the Supreme Court of India from April 1, 2017 has become the hot topic of debate among the auto manufacturers across the country. Recently a notification regarding this was issued by the Supreme Court restricting the auto manufacturers to not sale the BS III compliant vehicles with effect from April 1, 2017. This order was issued to comply with deadline determined by the government to adopt the new emissions cycle pan-India. 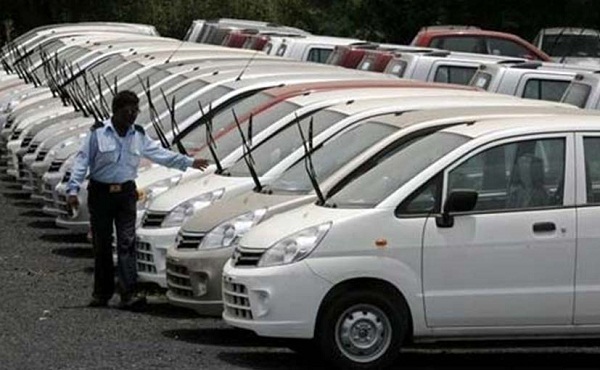 On the other side auto industry mavens have filed a petition to extend the deadline of selling such vehicles as there are about 8.24 lakh vehicles parked at their yards ready for the sale. 1. The debate that commenced from January this year regarding ban on sale of BS III vehicles from April 1, 2017 came to an end after the top court of India instructed the automobile manufacturers to sale and registration of BS III vehicle from April 1, 2017. 2. The court has instructed the manufacturers to sale till March 31, 2017. This was opposed by few of the manufacturers expressing their inability to sale the inventory till this period. These manufacturers will now either upgrade these vehicles or will export them to the countries where BS III vehicles are still on sale. 3. The Supreme Court has considered “the health of the people” more important than the interests of commercial vehicle manufacturers or the loss they will have to face because of this regulation. The order from SC has received an over whelming support from the EPCA and environmentalists throughout the country. 4. After receiving petition from the auto manufacturers on March 20, 2017 to extend the date of selling BS III vehicles, the Supreme Court has asked them to give the details of these vehicles that are available with them on today’s date. 5. The top 13 cities across the country have already adopted the standards of BS IV vehicles back in 2010, while the remaining cities were expected to adopt these standards in the phases. 6. According to the notification issued by the Government of India in March 2014, all vehicles that would be sold in India after April 1, 206 would be developed in accordance to BS IV compliant. This can be witnessed from various new vehicles including both four and two wheelers manufactured according to BS IV norms in 2016. 7. The restrictions regarding ban on BS III vehicles has been imposed only on the manufacturers and not on the owners of such vehicles. The restriction will not be applicable on vehicles that have been booked and are yet to be delivered to the buyers. 9. Sale of BS IV vehicles also means, upgrading the quality of fuel according to BS IV vehicles. This, however doesn’t mean that you can use BS IV compliant fuel in your existing BS III vehicle, the BS IV complaint fuel can used in these vehicles without any contradictions.